A hidden gem along the northern Rio Grande River in New Mexico where gas is still just 32 cents per gallon! When was gas 32¢ a gallon? 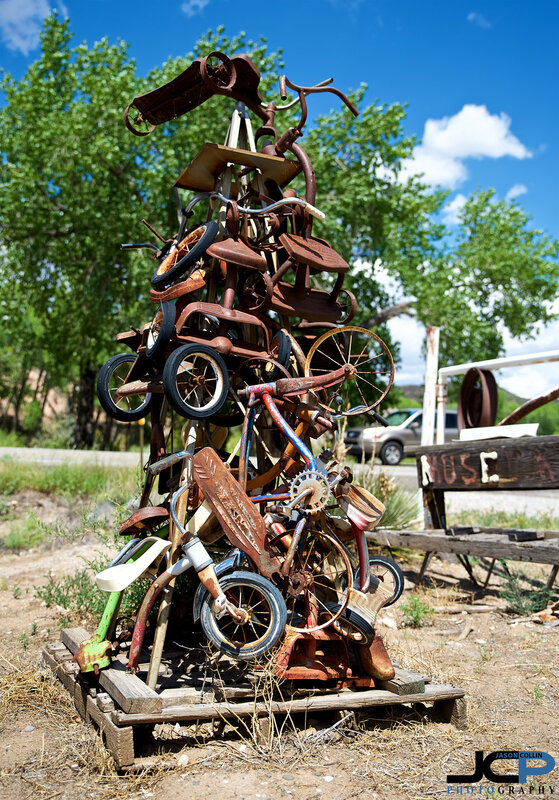 Driving back to Albuquerque after a weekend of rural land real estate photographer in Angel Fire along the very scenic Route 66, one can find amongst an unbroken stretch of canyon, trees and river a place that very much stands out, the Johnnie Meier Classical Gas Pump Museum. Thanks to Atlas Obscura, a great website for finding strange and odd things, we knew to be on the lookout for it. There are not just old gas pumps, but any number of things from a past that is slowly being forgotten. For me seeing the old coin operated animal rides that I used to take in the 1970s and 1980s, it was a strong shot of nostalgia. 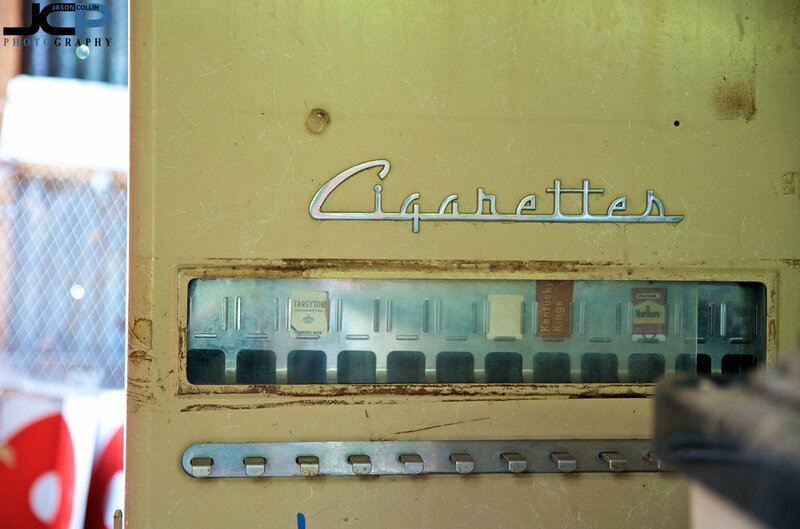 Even the old cigarette machine jogged my memory to when you used to see them in every restaurant waiting room. And when was gas only 32¢ cents a gallon last? 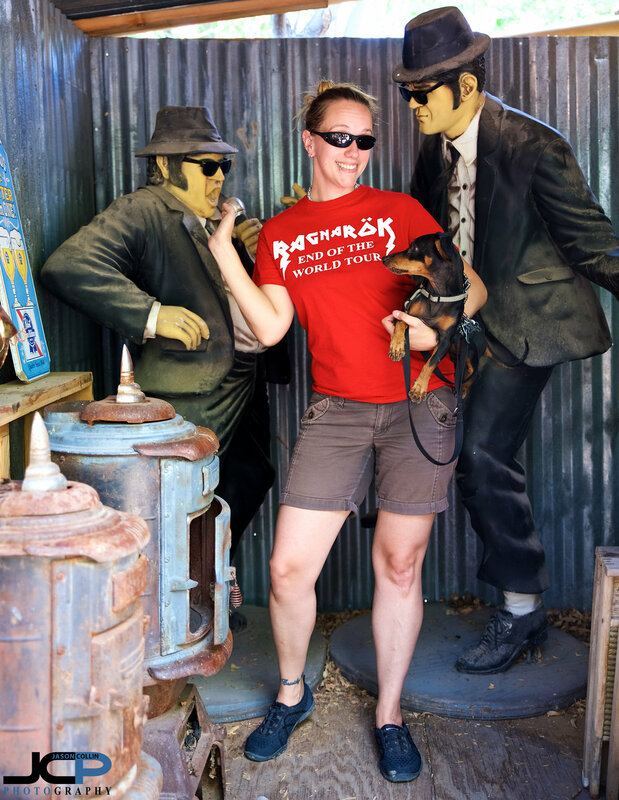 This is a wonderful hidden gem in northern New Mexico that has free admission, a very friendly proprietor, history, and in a cooler you help yourself too, Route 66 soda pop in a glass bottle! This museum was fantastic!